A Clean Factory Is Insanely Great But The Product Has To Sell: Freemont, California was the location of Apples new automated factory overlooking the Ford manufacturing facility. Apple was more profitable in its early years of existence relative to Ford. Apple was indeed a miraculous company. 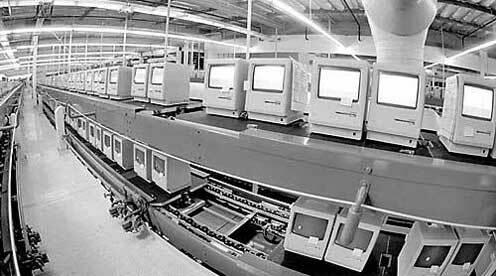 Jobs spent time going over the machines in the new factory in 1984, at one point, he demanded that the Apple team repaint the machines for aesthetics. This repainting actually screwed up their machines, however, and corrections proved costly. The Apple factory had white walls, and beautiful machines. Jobs believed the factory was a way to establish a passion for Apple amongst employees. Jobs was influenced by the Japanese manufacturing which had a sense of team and discipline. Debby Coleman, a Stanford MBA, was the operations manager. By the end of 1984, the Macintosh’s performance in sales was very low. They had an expensive factory but a failed product. This is an analysis based on Steve Jobs by Walter Isaacson and other sources of research. Enjoy.